BRYAN EATON/Staff photo. 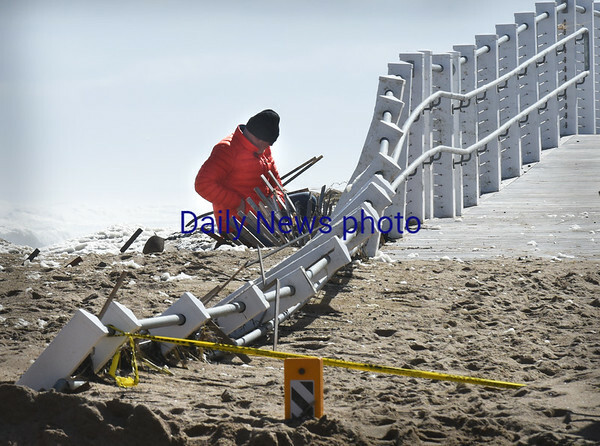 Engineer Kris Kretsch, from the firm VHB which designed the boardwalk at Salisbury Beach, checks out the damage to the structure from the recent storm. The sand around that area of the boardwalk, on the north end, will have to be removed before he can conduct a full accessment of how repairs will be made.